It's a fabulous monday, Erzulliestas! Let's look at something FRESH AND FIERCE! 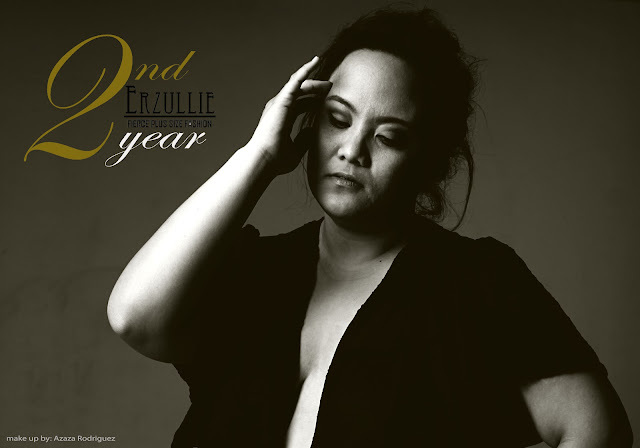 Erzullie Icon, Khriselda Guarin rocks at our 2nd Anniversary plus size editorial shoot! See you at our anniversary bazaar THIS WEEKEND at the Global Pinoy bazaar, Rockwell Tent, Powerplant Mall, Makati City on November 10-11, 2012 (10am-10pm). Enjoy the latest collection and discounts on some of the past items! See ALL OF YOU GIRLS THERE!